Welcome to the my website! I’m Jerry, a software engineer working for Google on Google Assistant team. I graduated from Northwestern University in 2017 with a BS/MS in Computer Science supervised by Prof. Douglas Downey. I have a wide interest in using machine learning techniques to solve real world problems. Interested in Manga and Anime but do not have the energy to cosplay your favorite characters? Want to see how your little brother will look like if he were a cat? AI is here to help. With Twin-GAN, you can create your original character simply by providing a profile picture. Find the anime character that looks just like your best friend is just one click away. 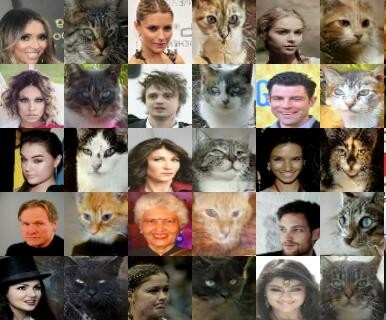 And if you’re not satisfied with the result, give a sample image of your neighbor’s cat and and Twin-GAN will make you look just like her.